Ready to get started? Build your own site from scratch or generate one for your project. and unlimited project sites. Let‘s get started. Head over to GitHub and create a new repository named username.github.io, where username is your username (or organization name) on GitHub. If the first part of the repository doesn’t exactly match your username, it won’t work, so make sure to get it right. What git client are you using? 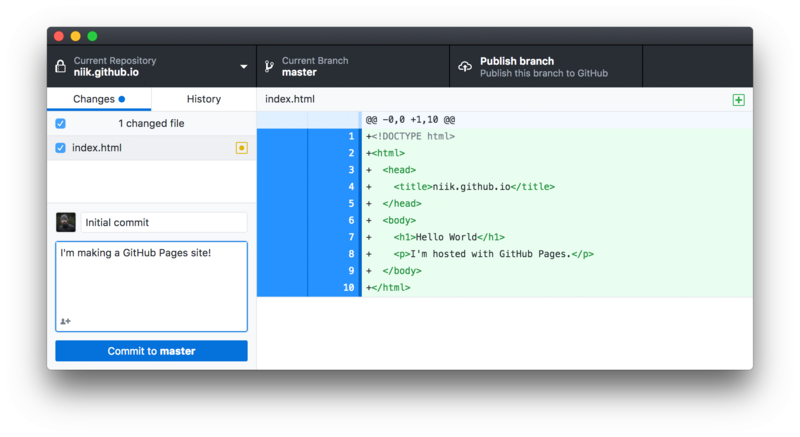 GitHub Desktop is a great way to use Git and GitHub on macOS and Windows. Click the "Set up in Desktop" button. When the GitHub desktop app opens, save the project. If the app doesn't open, launch it and clone the repository from the app. After finishing the installation, head back to GitHub.com and refresh the page. Click the "Set up in Desktop" button. When the GitHub desktop app opens, save the project. 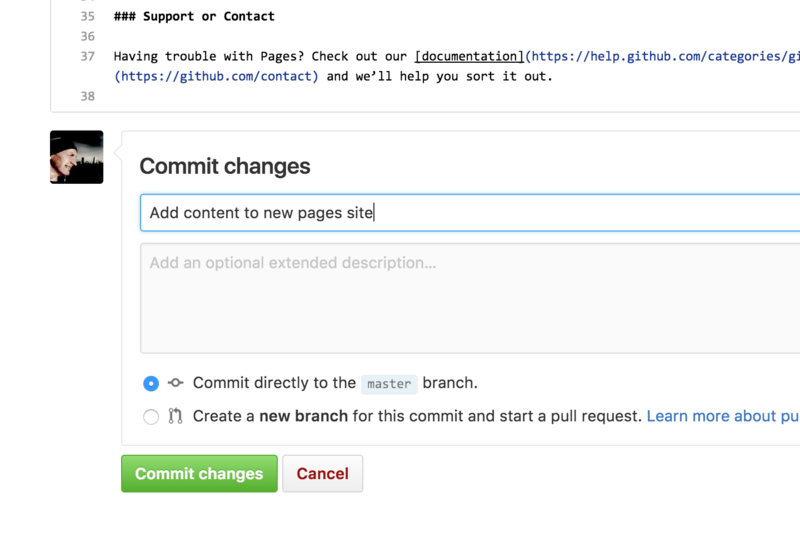 ~$git commit -m "Initial commit"
Enter the repository, commit your changes, and press the publish button. Use a theme, or start from scratch? or to create a site from scratch. 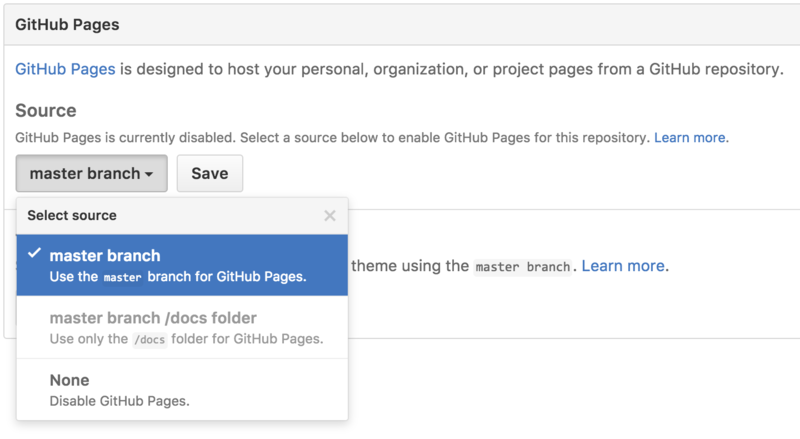 Head over to GitHub.com and create a new repository, or go to an existing one. Scroll down to the GitHub Pages section. Press Choose a theme. Choose one of the themes from the carousel at the top. When you're done, click Select theme on the right. Use the editor to add content to your site. Enter a commit comment and click on Commit changes below the editor. Click on the Create new file button. Name the file index.html and type some HTML content into the editor. 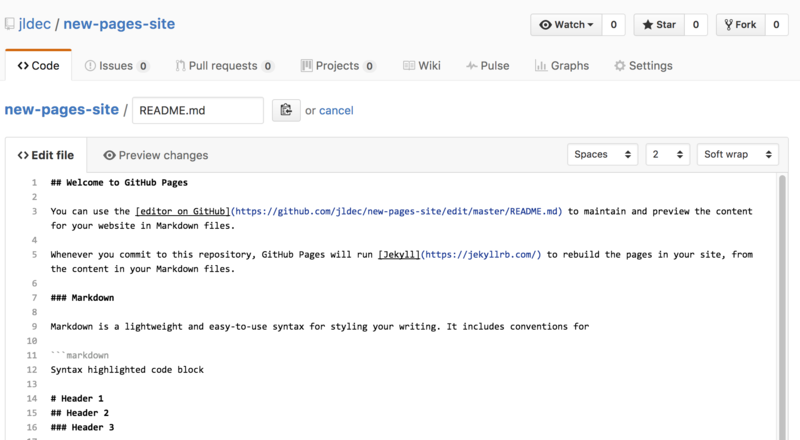 Scroll to the bottom of the page, write a commit message, and commit the new file. Click on the Settings tab and scroll down to the GitHub Pages section. Then select the master branch source and click on the Save button. Fire up a browser and go to http://username.github.io/repository. Now that you’re up and running, here are a few things you should know. 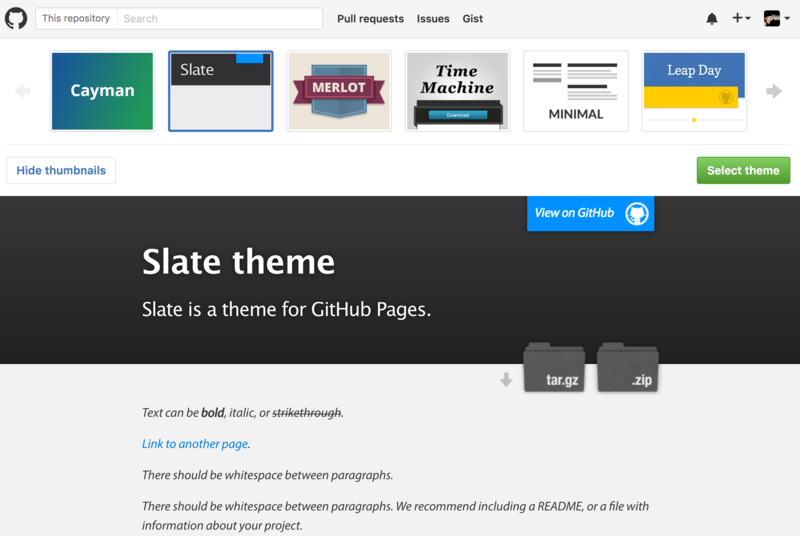 Want to use your own custom domain for a GitHub Pages site? Just create a file named CNAME and include your URL. Read more. Learn how to create custom 404 pages, use submodules, and learn more about GitHub Pages.